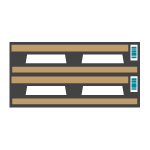 We all know that pallets take a beating during production and shipping. That's why you need labels from Chicago Tag & Label. Our pallet rack labels stand up to the rigors of moving and stacking in even the busiest warehouse environment. Our high-quality, durable pallet labels help improve operations in the freight, fulfillment, manufacturing, warehousing, distribution and logistics industries. Pallet labeling makes a huge difference in terms of efficiency - and the higher the quality, the greater the improvement. 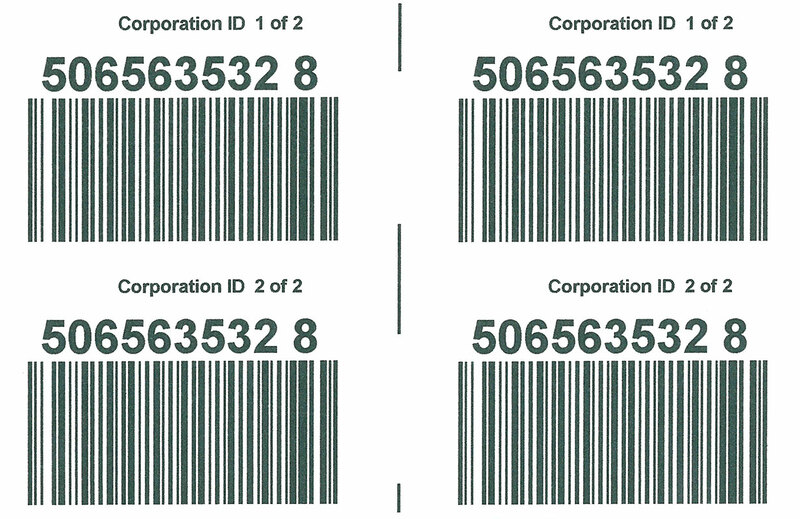 At Chicago Tag, we create high-quality pallet labeling solutions that are as informative as you need them to be - and that depends on your business's unique needs. Chicago Tag & Label's custom pallet labels are made from various materials and adhesives designed to survive harsh indoor and outdoor elements, and can be customized with sequential or static barcodes, your graphics and handling instructions. 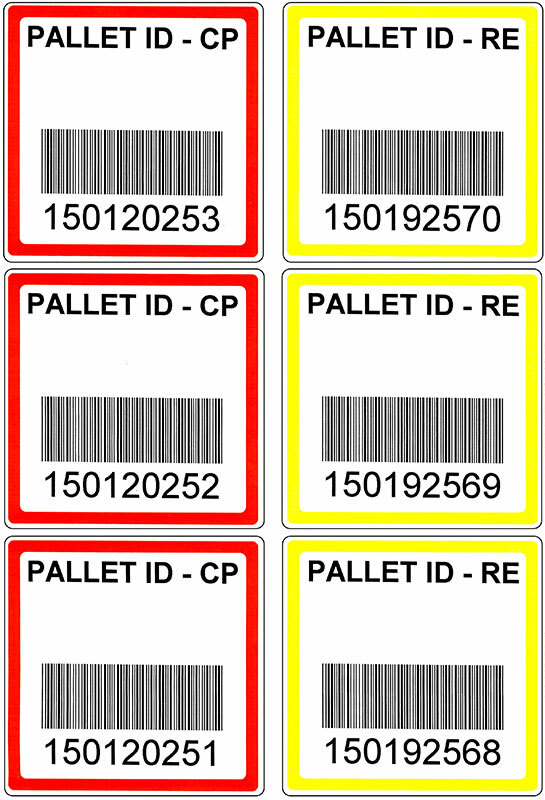 Every one of our pallet rack label products is custom manufactured so you can use the labels to clearly mark products and track inventory within your specific operation and shipping processes. No matter what surface you need to stick your labels to (including cardboard, stretch wrap or the wooden pallet), we customize the adhesive to meet the requirements of your exact application. Select a blank or preprinted format in your choice of PMS color, size, material, adhesive and finishing. From paper to durable synthetic stocks to rolled, sheeted or fan-folded formats, we do it all!